Love Christmas music as much as I do??? 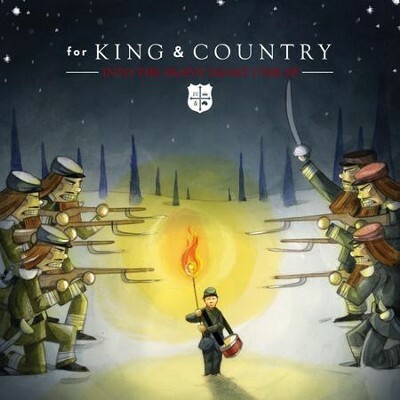 Then I have another great Christmas CD you have got to get this holiday season: For King & Country's Into the Silent Night! "New Artist of The Year" 2013 Dove Award-winning duo For King & Country recently dropped Into The Silent Night just in time for the holidays. The five-track EP, which features "Little Drummer Boy" and "Angels We Have Heard On High" among others, has been hailed by various critics since its October release. The Christian rock duo, made up of Joel and Luke Smallbone, teamed up with Seth Mosley and Ainslie Grosser, who co-produced the Christmas EP. The Australian-born brothers have had an incredible year following the release of their 2012 studio album Crave. The album was named 2012 "Breakthrough Christian & Gospel Album of the Year" by iTunes. The duo previously opened up about how they began singing Christian music. The brothers have been writing music together for eight years. This five song set includes live and studio versions of the new Christmas favorite "Baby Boy," plus "Little Drummer Boy," "Angels We Have Heard On High," and the title track.